Just one book in my mailbox this week, but one I am thrilled to be featuring. I have followed the writing of Layton Green for many years, throughout the amazing journey and adventures with his character Dominic Grey and now, as he changes direction slightly and introduces his readers to Detective Joe “Preach” Everson, I have another exciting series to look forward to, with an equally intriguing protagonist. The lovely Samantha from ‘Roger Charlie‘, has teamed up with ‘Kaye Publicity‘, to help get this show on the road and I would like to thank them both for the complimentary PDR copy of the book, just to get me started! A detective investigates the murder of a teenage golden boy that has rocked a small town–and the chief suspect is the victim’s mother. Annalise Stephens Blue is a Creekville high school student with plans to become a world-famous filmmaker. As she begins filming an exposé of the town called Night Lives, she uncovers more than she bargained for: on the very first night of filming, she stumbles upon a murder in the woods, and flees the scene steps ahead of the killer. Detective Joe “Preach” Everson is called to investigate the murder. The victim, David Stratton, is the town’s golden boy and high school quarterback. A modern version of what Preach used to be. Not only that, the boy’s mother is Claire Lourdis, a beautiful divorcée who Preach fell for in high school. She is also the main suspect in her son’s murder. Despite the cloud of suspicion hanging over her, old feelings resurface between Claire and Preach, straining the detective’s relationship with his girlfriend Ari, a prosecutor in nearby Durham. As Preach delves into the secrets lurking beneath the surface of the town and searches for a missing girl who may have witnessed the crime, he must put his own feelings aside and pursue the answer to a terrible question: is a mother capable of murdering her own child? 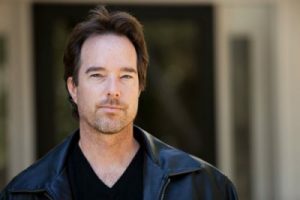 Layton is a bestselling author who writes across multiple genres, including mystery, thriller, suspense, horror, and fantasy. He is the author of the popular Dominic Grey series, as well as other works of fiction. His novels have been nominated for several awards, including two finalists for a prestigious International Thriller Writers Award and have topped numerous genre lists. He is also the co-editor of International Thrills, the online magazine of ITW (International Thriller Writers). In addition to writing, Layton attended law school in New Orleans and was a practicing attorney for the better part of a decade. He has also been an intern for the United Nations, an ESL teacher in Central America, a bartender in London, a seller of cheap knives on the streets of Brixton, a door-to-door phone book deliverer in Florida, and the list goes downhill from there. Currently based in Durham, North Carolina, Layton has travelled to more than sixty countries, lived in a number of them, and has a burning desire to see every country, city, beach, moor, castle, cemetery, twisted street and far flung dot on the map. Sounds like a good one. Enjoy Layton’s new one. All of Layton’s books I have read to date, have found a place on my ‘Favourites’ shelf at Goodreads, so I always look forward to another great storyline when I see his name mentioned in an email. I’ve never read Green’s work but, since he’s a favorite of yours, I’m adding his books to my wish list. Should I start with a particular one? I’ve not read any of his books, but I know how much you love them, Yvonne. I hope this one lives up to your high expectations! It sounds quite good. Now I really am beginning to worry about myself – That’s twice recently that I have been certain you have read books by an author, when in fact you haven’t! It is probably because you are generous enough to comment and encourage on almost every single one of my posts, which is amazing and for which I am extremely grateful. Layton has now successfully written across three individual genres, introducing three new and strong protagonists to his portfolio and to his growing catalogue of followers. Knowing how eclectic a reader you are, his is definitely a name to bear in mind for the future. 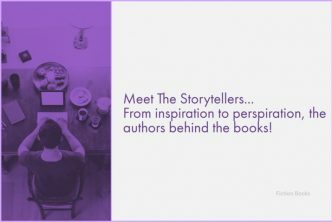 Layton writes across quite a few genres, so it might be better if you either check out his website, or visit his page at Fantastic Fiction and see which series might suit you best! I first met Layton when he launched his Dominic Grey series and I have followed him ever since. This new series highlights Layton’s versatility in creating original storylines and intriguing characters. Detective Joe ‘Preach’ Everson is certainly a strong new character to add to Layton’s already impressive portfolio and I’m a definite sucker for a good detective series! I’ve enjoyed Layton Green books too. I’ll have to check this out. Happy – Suspenseful – Reading! 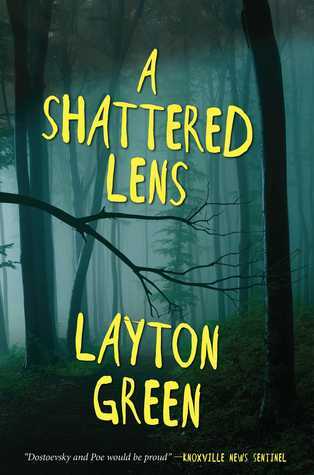 The character and premise of this book sounds so unlike anything Layton has written before that it would be good to have you join me in reading ‘A Shattered Lens’, so that we can compare thoughts about it. From your great reviews, it looks as though Layton is an author you enjoy reading as much as I do! I’ve never read anything by Layton Green, but this sounds good. And since it’s the start of a new series I might give it a shot. Well, this is actually the second book in the ‘Preach’ Everson series, however as the previous story, ‘Written In Blood’ where ‘Preach’ is introduced to his audience, has a murder in a bookshop and a literary minded murderer, I’m sure that catching up might be fun! Hmm! This didn’t particularly appeal until the question is a mother capable of murdering her own child was posed. Whilst possibly not a book I’d buy I do think I’d be intrigued enough to pick up a copy if I were to see it in the library. It seems like so long since we last spoke, but time just flies by so quickly. I can’t believe that Easter is already fast approaching and I hope that all is well with you. It has been so long since I visited a library that I have no idea how up to date and current their range of books and authors are these days. Layton has been around writing for a number of years now and also has a very loyal following for his fantasy trilogy ‘Blackwood’ which might be a bit more to your liking, as I notice that you do read from the genre occasionally. I too, have quite a list of books which I wouldn’t necessarily actively search out and buy, but if I saw them lurking in a second-hand or charity shop, I would probably purchase without thinking about it for too long! A new author to add to my list. A shattered Lens sounds like my type of read. Layton has written series across several genres, from fantasy and sci-fi to the occult and now thrillers. If it is the latter which interests you the most, it would be good to know that ‘A Shattered Lens’ is the second book in the Detective ‘Preach’ Everson series, so it might be worth your while going back to the beginning to read ‘Written In Blood’, where the literary minded murderer does his dirty deed in a book shop – what could be better? Thanks for the information Yvonne. I’ve added both the books to my Goodreads TBR. 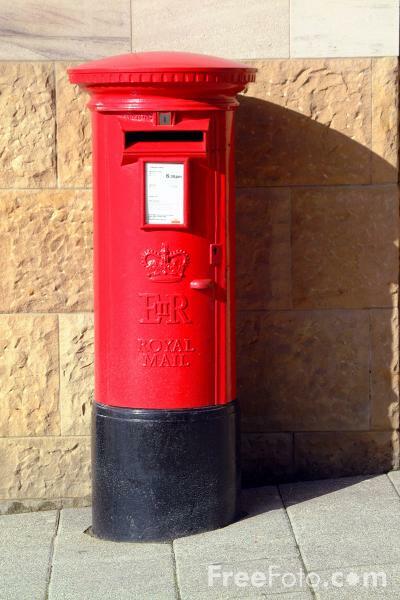 I am always worried about recommending books to others, as reading choices can be quite personal and intimate to the individual, however I don’t think you will be disappointed in Layton’s writing and I shall be keen to see what you have to say about them! I have read one book by Layton Green and enjoyed it. Hope you had a good week and are having a good weekend. I really got into Layton’s Dominic Grey series of stories of the occult and strange sects. This, his latest protagonist, Detective Joe ‘Preach’ Everson, also sounds like a well defined and developed character. Layton always seems to hit the ground running with his books, knowing exactly where his storylines and characters are going, having already mapped out their journey! A Shattered Lens sounds like an intense read, enjoy it when you get to it. Sadly, sometimes the people we least suspect are capable of murder. I’m actually watching a tv show where there is an unfit mother. I am not sure whether society is becoming inherently more corrupt and depraved, or whether it is just because of our connectivity to everything and everyone around us, which means that we get to know more freely and speedily of some of the terrible events which affect our communities and the wider world. Whether TV shows, news media and other media such as books, magazines etc. in general highlight situations and issues which already exist, or actually help to propagate them, I’m not really sure! When Detective Joe ‘Preach’ Everson asks the question “is a mother capable of murdering her own child?”, I guess that would have to be a reluctant, but resounding “yes”, although I am not sure that is the direction this particular storyline takes, being that Preach and the boy’s mother, Claire, were once smitten with one another! Either way, this is sure to be a tense and intense read, as author Layton Green never writes a story by halves!